Replacing power steering fluid helps prevent wear to the components by reducing heat and friction. 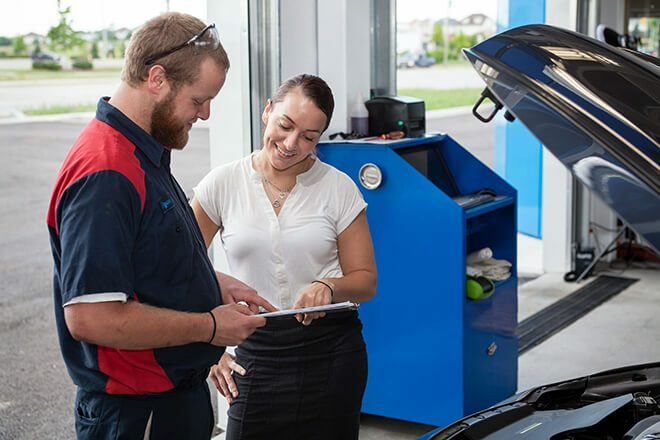 The Pro Oil Change in Cornwall can help replace your power steering fluid during your next visit. Driving your car for extended periods without power steering fluid can damage the pump. While there's nothing that physically stops you from driving your car if you have a power steering fluid leak, once the level drops, your pump runs dry. This causes increased friction and heat and can quickly cause expensive damage. Vehicles with a hydraulic power-steering system use power steering fluid. The fluid works in conjunction with the power steering pump to make it easier for the driver to turn the steering wheel and, therefore, the vehicle.